Lord (Michael) Hastings is the Global Head of Citizenship at KPMG International and one of the world’s most influential corporate social responsibility leaders. 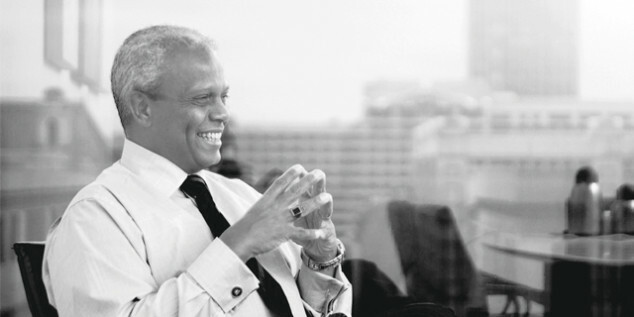 We spoke to Lord Hastings about his thoughts on the connection between the business world, sustainable development and the relative roles and responsibilities of business and governments. You are a strong advocate for the importance of collaboration between the private, public and non-government sectors in finding solutions to global issues. In this context, what are the relative roles of government and business in CSR and citizenship initiatives? Firstly we’ve got to think about government in a multitude of ways because its not just about national governments but also about the role and influence of intergovernmental organisations and funding networks such as the United Nations (UN), the World Bank and the Asian Development Bank. If you take the ‘big’ governmental picture rather than just the national governmental picture, over the course of the last two generations the UN has certainly striven to highlight the priorities of business responsibility – hence the formation of the UN Global Compact and the multitude of agencies ranging from the Food and Agriculture Organization (FAO) through to the World Health Organization (WHO) and numerous other priority programs on poverty alleviation, ethical investment and responsible finance. In the case of these agencies, which are essentially striving into the place where the private sector might say “if you really want to be farming and access food, leave that up to us to empower the market to and ensure it gets through to the mouths of those who need it.” In those instances there is still the need for an intervening agency to set priorities or principles and hold the private sector to some pressure, if not necessarily to account. What have been some of the biggest influences of change you have seen across business in recent years? One of the fascinating things about the changing course of business in the past ten to 15 years has been the influence of the media and the internet. With the growth in access to television across the world, 24-hour news channels and the instant responsiveness of social media, universal news awareness has grown. So where organisations like the FAO may not have had regulatory authority over food producers in the past, what they now have is the power of embarrassment, highlight and focus. In a culture where reputation prevails, these are things that the private sector is very responsive to. So now, if we take the example of food-producing companies that have for a long time struggled to rebuild their reputation after the eruption of a scandal about the contents of their products, production practices or their impact on the environment; many of the businesses who were under the spotlight in the past are now making a clear decision to be leaders in social transformation and be responsible citizens with a wish to deliver products and services that are healthy for their customers and re-equip the earth to survive. Classic examples are the impact of Nestlé’s water replenishment program and the way Monsanto actively ensures that the supply of fertilisers for its food products and sources are all sustainable. To what degree is the threat of reputational damage influencing this change in behaviour by multinationals? To a degree this shift has been driven by previous decades of negativity and criticism of businesses, but there is a new breed of business leaders that don’t just want to make sure they have a good reputation. Irrespective of whether or not the UN and the FAO are there, they still believe that as businesses they should be taking positive and proactive steps towards prioritising and tackling global impact issues like climate change and food security. There has definitely been a shift in mindset over the last ten to 15 years from an attitude of ‘it’s the role of intergovernmental agencies or national governments to focus on these things and fund them out of public funds and taxation’ to one of ‘it is the duty, opportunity, privilege and joy of business to step forward – and want to step forward. Business is no longer waiting on the government to tell us to step forward, but we are making these priorities ourselves because we believe in them. If business is playing a greater role in coming up with solutions and implementing them, do you believe we have enough of a voice in the ‘big’ conversations? We are seeing real change but there is still a long way to go. Although there is a statement that business will be expected to transform its processes to provide for greater long-term sustainability, business is still largely absent from the conversation table. For example, if we look at the additional set of advisers and consultants Ban Ki Moon has set up to develop the next phase of the Millennium Development Goals (MDGs) post-2015, the global CEO of Unilever, Paul Polman does have a seat at the table. On the one hand it its fantastic that he is there, as there were no business leaders included in the drafting of the MDGs in 2000, but from a group of about 27 there is only one serious global business leader present. I wish that the UN System Task Force appointed by Ban Ki Moon to draft the next set of sustainable development goals also said that “in order to fix these issues for the future it isn’t just about political leaders spending time coming up with meaningful solutions and objectives, we have to do this in conjunction with some of the world’s biggest global corporations”. So imagine if we could get three politicians [i.e. the co-chairs: President Yudoyono of Indonesia, President Johnson Sirleaf of Liberia and Prime Minister Cameron of the United Kingdom] together with three big business leaders at the helm and work on this together. That challenge of getting a seat at the table with government is a challenge that the Board of the UNGC Network in Australia has faced. On the basis that by its nature business is leading in its thinking, should we just avoid that challenge altogether and say “we are just going to get on with it and do our own thing”? In the current economic environment where businesses and governments are desperately concerned about escalating debt and the sort of financial woes that dominate the news, do you think it is more difficult to advocate for long-term sustainability when the focus may be on short-term revenue ‘fixes’? Amazingly, no. At the recent One Young World Summit (see box right) the speaker who really grabbed my attention was the new global CEO of Barclays, Anthony Jenkins, leading a panel about business ethics. That same day The Financial Times ran a dominant story about Barclays having to settle a further £700 million in claims for mis-selling insurance and mortgage products. And yet here comes the new CEO, who stood up in front of 1,800 young people (who in a survey said ‘we don’t trust business’), and he basically said “I’m committing to what Barclays is going to do to transform our processes to become transparent, clear-sighted with a new purpose related to our place in the world and I’m going to come back to you in a year’s time and report back to you on what we’ve done.” In the past, the response would have been get the regulators off your back and make sure your shareholders were happy, but the new model exemplified by Anthony Jenkins, is to face your harshest critics, admit what has gone wrong, be completely transparent about it and outline what you are going to do and being held to account for it. So I don’t see any backing off from these pressures particularly where debt is cramping the style of businesses and governments. I think that comes down to the moral realisation that, had there been individual and corporate acceptance of responsibility from top to bottom, we wouldn’t be having this ugly conversation about the debt crisis at the moment. That tough moral reality has sunk into the minds and existences of business leaders everywhere. You are a great ambassador for hope. What are the positive signs you are seeing for creating a better, more sustainable world? Firstly, the easy and popular thing would be to say that there are a number of young people in business who are not only realising the importance of the issues, but are responding with a desire to be part of the change process. But for me, the greatest sign of hope is that it’s the old guard of global business leaders who, at a time in their career could be saying “we’ll leave it to the next generation to change the world” are the ones stepping forward with a passionate commitment to philanthropic foundation creation, taking a frontline stance and drawing others onto a collective path to drive transformation. That also includes people like Klaus Schwab in founding the World Economic Forum, and Ban Ki-moon and Kofi Annan in setting up the UN Global Compact – because they have managed to mobilise business leaders around a common commitment to responsible business. Secondly, business is taking a very real role in finding solutions to issues such as food security, public health, poverty eradication and development objectives like the supply of electricity and access to primary and secondary education in developing countries. And there is now evidence that the solutions to what were once deemed as ‘headaches’ are now deliverable, financeable and achievable. Thirdly, there’s truth in that old adage about ‘never waste a good crisis’. While recent events have exposed the terrible fracture in political leadership all over the developed world, the crisis has demonstrated that while on one hand there is a message to the public is about continuous growth and economic advancement, there is an equally strong argument being made about austerity and accountability for a sustainable future. That means not laying debts – including carbon debts, environmental debts and financial debts – on future generations. There is now a common language being shared between public institutions, campaigning bodies, NGOs and the private sector. What was inspiring about the Rio+20 Conference was that, unlike 20 years ago, there were a lot of businesses in the room. And although some signs of discomfort still exist, business is now leading the conversation providing real solutions, real leaders and real investment. Lastly, and thank goodness, there are now enough maturing leaders coming out of countries like India, China, South Africa, Ghana and Kenya who are taking a place in the conversation. And they are taking their role seriously. In fact, one of the stars of the Rio+20 Conference was Deputy Vice President of China who stood up amongst other intergovernmental leaders and comprehensively told the audience about China’s internal priorities in detail and outlined how the country intends to achieve them. Anybody who visits China now can see that emphasis on sustainability and water supply, building sustainable cities, empowering the poor, ensuring responsible financial management. There is a sense of ‘wow’ about that because for all the things that are complex about a big entity like China, there is an enormous amount to be thrilled about amongst the next wave of strong and dominant economies. BBC’s first Head Of Corporate Social Responsibility. Trustee, Vodafone Global Foundation; Chairman Millennium Promise UK and Deputy Chair WEF Future of Civil Society Agenda Council. Awarded a Commander of the British Empire (CBE) for his services to crime reduction in the UK. Being one of the world’s most influential corporate social responsibility leaders. Founded in 2009, One Young World is a London-based charity that gathers together young delegates from around the world to an annual summit, with the goal to debate and formulate solutions to global issues. After each summit, One Young World Ambassadors work on their own projects and initiatives or lend the power of the One Young World network to those already in existence. Previous initiatives have included the presentation of The Missing Millennium Development Goal to UN Secretary General Ban Ki-Moon and the creation of the first-ever African Student Leaders Summit. To date, almost four million people in excess of 100 countries have been directly impacted by the work of more than 125 One Young World Ambassador projects.